It was a night of unbelievable talent as 30 sets of performers wowed the audience during FutureStars 2018 at Pioneer High School. 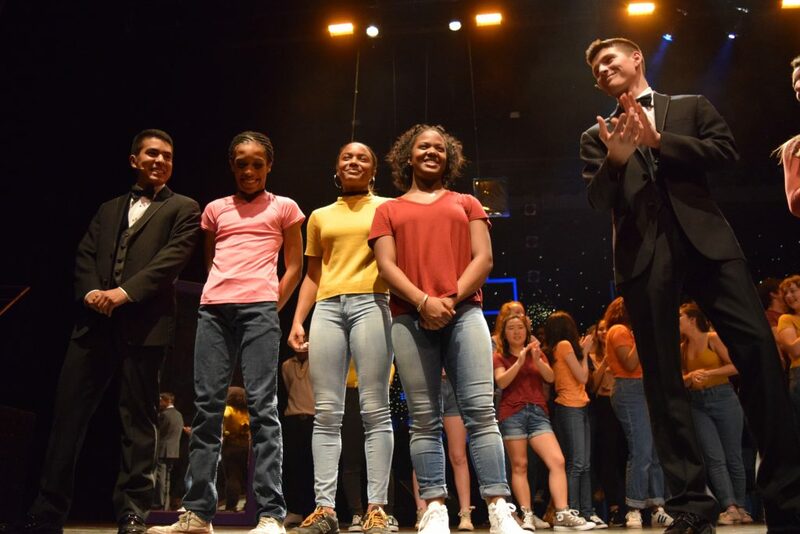 This final talent show followed a weekend of preliminary competition when more than 60 teens from across the city competed with covers of songs, original dances, and instrumental solos. The top acts from those shows squared off in the final performance on Saturday, January 27. Guest judges included Tracey Lowder, Pioneer High School principal; Laith Al-Saddi, runner-up on NBC’s “The Voice” 2016; Chelsea Packard, Broadway actress; Raymon Cedeno, professional dancer; and Matthew Altruda, 107.FM radio host. After the judges selected the top five acts, the winner was chosen by audience applause. Chosen to thunderous applause and a hail of confetti were dancers Maya Boyd and Gigi Boyd, and Kaleb Doughten-Priuska—a Community High School senior who won the competition last year as well. The finalists included Trey Foster and Emily Tschirhart, who sang “Freedom” by Beyonce and Kendrick Lamar; Bridget Roberts singing “If I Ain’t Got You” by Alicia Keyes; Emily Tschirhart & Lily Rosenberg singing “When You Believe”; and Kenyatta Campbell and Seth Dyer’s rendition of “Glory” by Common and John Legend. This was the 16th annual FutureStars show, and it was once again a full house.